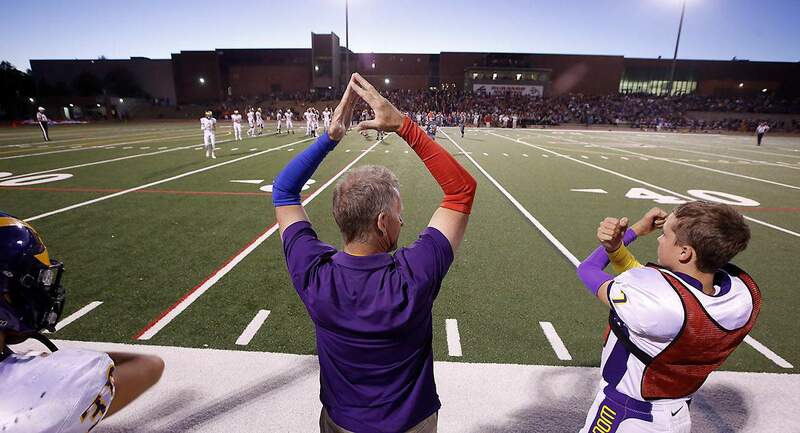 Bayfield head coach Gary Heide may call a bit different game Friday night at Pagosa Springs with senior quarterback Hayden Farmer a bit banged up with a shoulder bruise. One week and Pagosa Springs are all that separate the Bayfield Wolverines from a league championship game against the Salida Spartans. The Pirates from Pagosa hope to keep the Wolverines from that league title. The fifth-ranked and defending Class 2A state champion Bayfield High School football team will hit the road to face Pagosa Springs at 7 p.m. Friday. Pagosa (3-4, 1-1 2A Intermountain League) received one vote in the Colorado High School Activities Association poll this week and is 11th in the RPI standings that determine playoff seeding. BHS is third in the RPI, making Friday night’s game a clash of great playoff importance. BHS (5-1, 2-0 IML) hasn’t lost a league game since 2014 with 19 consecutive league victories. The last time the Pirates beat the Wolverines was on Halloween night of 2008. Last year, both teams made the playoffs, and the Wolverines beat the Pirates 21-3 at home during the regular season. BHS went on to win its second state title in the last three years, while the Pirates fell 34-0 to eventual state runner-up La Junta in the first round of the playoffs. 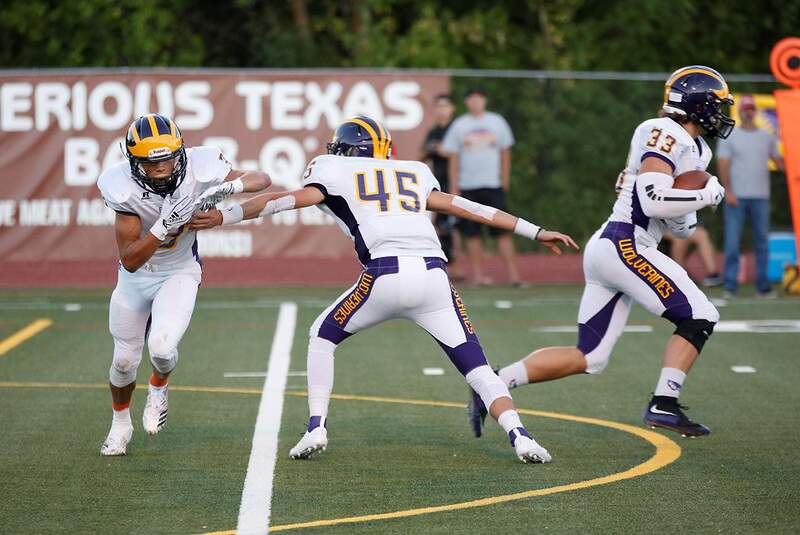 Misdirection is key in the Bayfield offense with quarterback Hayden Farmer disguising handoffs to players such as Keyon Prior (3) and David Hawkins (33). The Pirates are led by senior quarterback Cade Cowan and junior running back Paden Bailey. BHS will try to get up early to avoid putting pressure on senior quarterback Hayden Farmer, who left last week’s 39-3 win against Montezuma-Cortez with a bruised left shoulder – his non-throwing arm. BHS was cautious with him in practice early in the week, but he was a full participant Wednesday and Thursday. Pagosa Springs can expect to see a heavy dose of David Hawkins, Keyon Prior and Dylan Hilliker in the BHS run game. Hawkins is up to 727 rushing yards and six touchdowns, while Hilliker and Prior are each over the 300-yard mark and have combined for six rushing scores. Prior is also over 300 receiving yards for another four touchdowns. The stifling BHS defense will look to contain Bailey and Cowan, and that will start with the tough linemen up front in Rhett Hoover, Isaac Lorenzen and Daniel Westbrook.